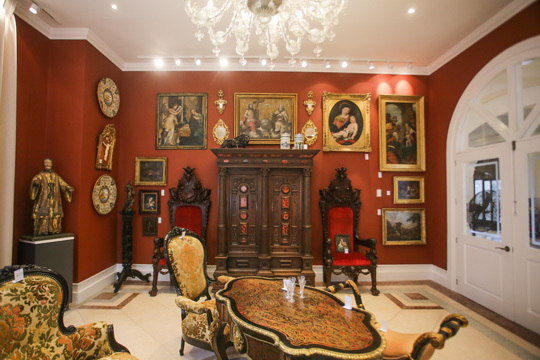 Casa de Memoria, the Lhullier-managed auction house devoted to European antiquities, furniture and objet d’arts, begins its 15th auction for the 2019 season with The Casa Open on March 9 beginning 2pm, at its new venue, The Palacio de Memoria, on Roxas Boulevard. Over 170 items ranging from Flemish cabinetry, Chinese porcelain, distinctive Italian oil paintings, and unique neoclassical silver make up the catalog for The Casa Open. The auction experience is further enhanced by its location on Roxas Boulevard. 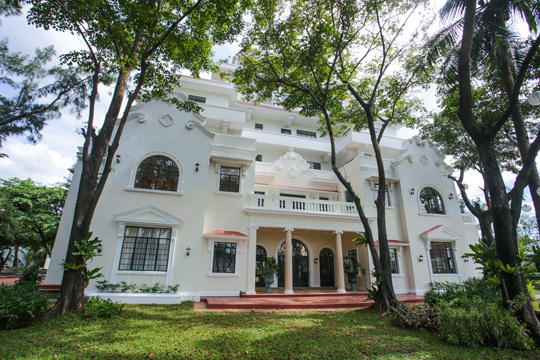 Roxas Boulevard, or Dewey in its day, was home to gentrified estates, with access to Manila Bay. The pre-war seaside estate will now be home to the annual five themed auctions, beginning in March. The remaining four auctions will be expanded in the restored seven-story mansion, with scheduled events in May, July, September, and November. 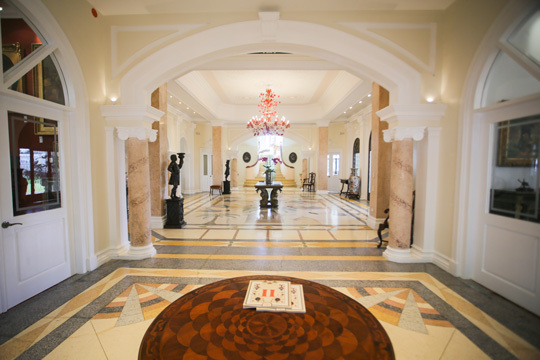 The Spanish Revival styled villa is envisioned to be an art space and living museum -- housing the collection, providing a venue for lectures and dining experience. “My sister, Angie (Lhuillier) and I are committed to telling a story of a great Filipino past. The Palacio harkens to a time in our history where Manila and the Philippines was the true Pearl of the Orient. This home and its grounds will provide collectors and lovers of history a vignette of an era gone by,” emphasizes Camille Lhuillier, Marketing Manager for Casa de Memoria. Highlights of the auction begin with a Bolivian Episcopalian Chair. This piece, from the ninth century sets the tone for the over 170 lots. The detailed high-back armchair in wood with silver overlay is stunning. The upholstered seat back in crimson red fabric is surrounded by detailed reliefs showing various motifs: birds, lions, flowers, fruits, scallop, foliages, sogueado, as well as images of angels, Saint Michael, and the Immaculate Conception. Equally a feast for the eyes will be the recent addition of Tiffany China, an Ivory Cristo and a Galle Vasse. The selected lots, present a different perspective to collectibles consigned from around the world. A notable English mahogany bookcase in the George III-style dates to the 19th century. The upper half with glassed doors with a pointed arch motif, pilasters on the sides, shelved interior and wreath-decorated frieze. The base is built with adjustable black leathered-surface writing desk, while the center panel can be lifted for reading, and small drawers and compartments, all concealed by a sliding curved cover. With metal mounts and a key—it is an absolute must in a gentleman’s den. Another piece of note is a Spanish 17th to 18th century coin cabinet made of exotic woods veneer done in geometric wood inlay, ivory insets depicting hunting scenes, ormolu mounts. Finally, an Italian 19th century oil painting on canvas depicting “Ponte Emilio”, now called Ponte Rotto (or Broken Bridge) is one the oldest Roman bridges to date, constructed around 200 BCE. The actual bridge faced several floods and required multiple restorations since the Medieval period up to the 19th century. These and other unique pieces will be available for viewing beginning February 18 to March 8 from 10am to 6pm at Palacio de Memoria, 95 Bayview Drive, Los Tamaraos Village, Barangay Tambo, Paranaque. For more information, the catalog will be available online at www.casadememoria.com, and on Instagram @casadememoria. For inquiries please call 772-0414 or send an email at [email protected].